Diversity and inclusion is a hot topic, one that many organizations are talking about and trying to figure out just how to get it right. In this play I’d like to introduce you to a company that is not only talking about it, but socking it to diversity and inclusion, taking a rebellious approach to how they address and embrace this important topic. The company is John’s Crazy Socks, an online sock company based in Long Island, New York, that was founded by the father and son team of Mark and John Cronin in 2016. John, who has Down syndrome, decided he wanted to go into business with his father, and came up with the idea of selling socks. The company’s received lots of attention and press, with John appearing on ABC News, Money Magazine, BBC and CBS News to name a few, sharing the story of how he and his father have built a successful business. They’ve become role models on the power of diversity and inclusion, and are on a mission to showcase this approach to others. In addition to tackling diversity & inclusion inside the walls of their warehouse, they also host school tours, speak at conferences and events, and advocate changes in law and policy to support the rights of people with differing abilities to work and to retain their earnings. They are truly going above and beyond to showcase a successful business model and approach, one that can and should be used by others. John and I are just a bunch of knuckleheads from Long Island, if we can do it anyone can. 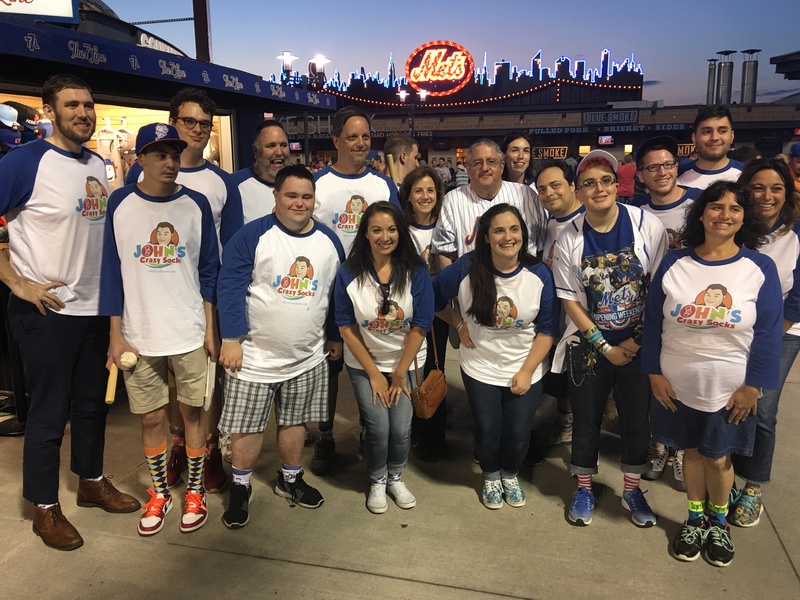 John’s Crazy Socks’ approach to diversity and inclusion begins with their mission of spreading happiness. “Everything we do is designed to spread happiness. The more we can do for others, the more we can make people happy, the better off we are” says Mark. To go alongside the mission are their four values - inspiration and hope, giving back, socks you can love and making it personal. The one which I believe sums up their approach to diversity and inclusion is the value of “inspiration and hope,” which shows the world what is possible, and what people with differing abilities can do when given a chance. Our approach demonstrates that when you work with people with special needs they become an asset and a reason for success, and not a liability and an obstacle. What makes them rebellious is how they’ve turned these words into action. It starts with their recruitment strategy. 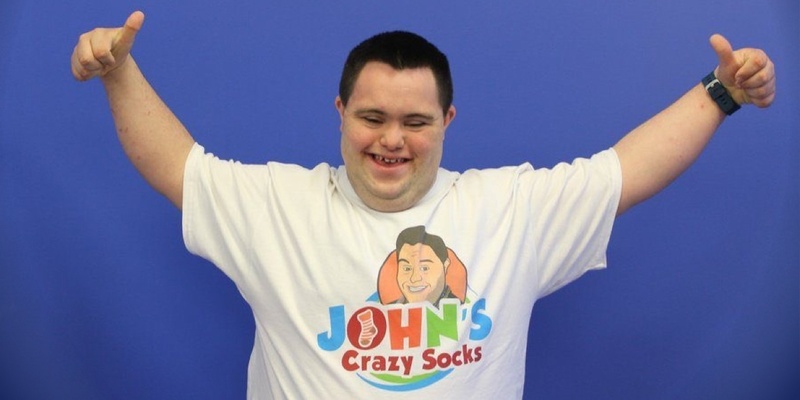 Beyond hiring just one disabled employee to “tick the box,” approximately 50% of John’s Crazy Socks workforce is made up of employees with mental disabilities. Our hiring is not altruistic, it’s not charity, it’s a good business decision. With a growing labor shortage, especially in their industry, this hiring approach takes advantage of untapped talent, giving them a competitive advantage with workers who as Mark says "are excited to come to work, excited to be there, and can be relied on to get the job done." And it’s not just about the hiring, it’s what they do next in how they treat these employees once they walk in the door. Instead of isolating them or giving them little to nothing to do as done by many companies, he gives them “proper” jobs, with the majority working as “Sock Wranglers” picking the orders or as “Happiness Packers,” verifying and packing orders. Great job titles, which are just as much fun as the socks they make! All employees, regardless of their disability, need to earn their job. So after shadowing a current employee, they’re required to take and pass a test. For this, the company brings back their value of “making it personal” by looking past disabilities and focusing on what they can do to teach and set each individual employee up for success to pass the test. For example, they had one employee who was autistic, and for his test they focused on the mechanical side of learning and not the interpersonal side which was difficult for him, for it wasn’t actually critical to the job. Once in the job the personal support continues. Mark meets with supervisors to understand if there are any specific issues that need to be addressed, and at times, he’s even met with family members to understand if either they or the employee requires further support. An example was when they introduced free snacks. For a few employees with autism they’d eat the snacks all day long, so to help them they set up a schedule of when they could come and have snacks. This shows their ongoing, and as Mark calls it, their “multi-layering” approach to helping and caring for all of their employees. There have been many positive impacts of this rebellious approach. From a retention perspective, they’ve only lost one employee who moved into another career. From a business perspective, the business is absolutely thriving, in their first 18 months they’ve shipped over 110,000 orders, earned $4 million in revenue and have donated over £135,000 to their charity partners. It’s partly down to all of the press coverage they’ve had, but that can only get you so far. What’s really made them a success is how they’ve engaged each and every employee to bring out the best in them, socking it to diversity and inclusion and spreading happiness along the way. If you want diversity and inclusion to work you can’t do it because you feel it’s something you “have to do.” You need to do it because you truly believe it is going to work and commit yourself to making it work.